Wow, holiday time already?! It has been a wonderful and action-packed year for me and Anne's Alterations. I would like to send out a big thank you to all my clients; it has been a pleasure making your wardrobes better! After a sewing-filled year, I am taking a vacation! Anne's Alterations will be closed from December 12 - January 2. Please contact me by phone or email for appointments in the new year. Regular studio hours will begin on January 4. I would like to leave you this year with an image from the new Snow White movie coming out in March 2012. I am currently working on costuming "Alice in Wonderland" for Flagstaff Junior Academy and I think I have giant outrageous dresses on my mind! 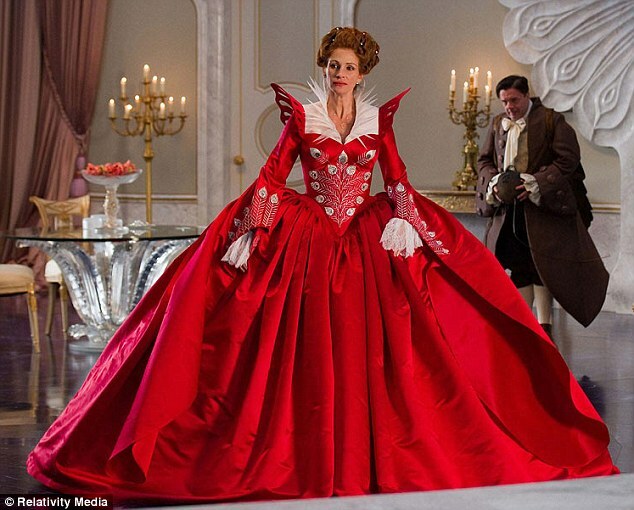 Although this is the Queen, I think it would make an amazing Christmas wedding dress or holiday formal (ok, with a little less bustle)! Wow!